Far before humans had invented the stock market and the world of cryptocurrency, precious metals like gold, silver, and platinum were being used as currencies and trading commodities. Though trading technology has advanced, precious metals are still one of the keystone working parts that make up the value of the commodity market. Precious metals and other commodities like crude oil and copper, are traded on contract-based futures, and can result in major profits for both long-term and day traders. While Asia is currently the most heavily-invested continent when it comes to purchasing precious metals, the commodity market in general is largely dominated by European and American investors. No matter where you are in the world, you have the potential to make money by investing in precious metals. However, you’ll need the right broker to get started. 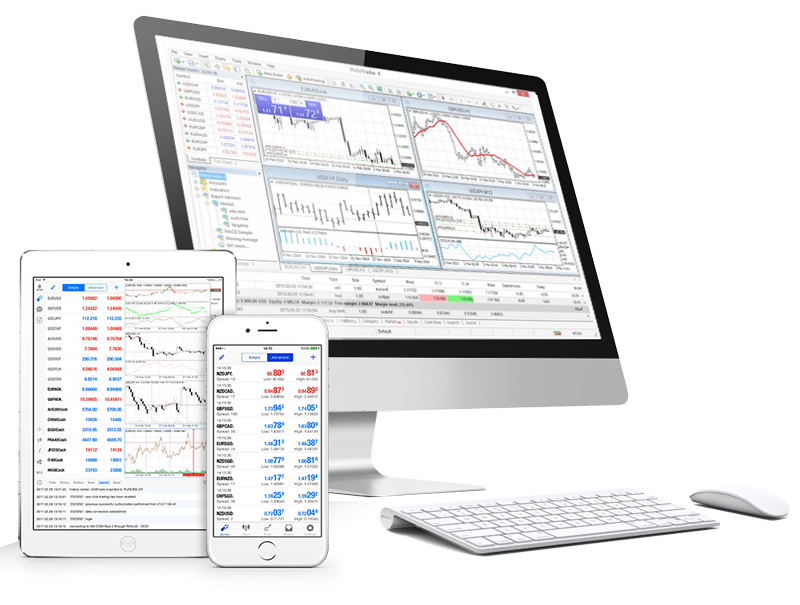 Genetrade delivers the best trading conditions and execution to help you to avoid making costly mistakes. The vehicle that allows investors to tie their money to the values of goods is called the futures market, or the commodity market. Investors have access to over 50 commodity markets, which allow them to place their money on the values of hard assets like precious metals, oils, and other value metals that act as building materials like copper. Though there are a few ways that investors can tie their money to the purchase and value of precious metals (including certificates and exchange traded funds), the commodity market offers liquidity and leverage to individual investors that cannot be seen in any other trading method. Thus, the potential for major gains (and losses) can be found when investors use the commodity market to place big bets on the precious metals of their choosing. By far, the most valuable benefit when it comes to investing in precious metals is a quality called “intrinsic value.” When something has intrinsic value, it means that its value is based less on the characteristics of supply and demand that typically dominate the market, but on the properties of the item itself. Think of intrinsic value in the context of history: gold, for example, has been valued for centuries, is used to create high-end luxury products, and is immune to inflation (after all, you can’t just decide to print more gold!) The preferences of investors for long-term ownership and even physical holding of precious metals gives investors the opportunity for massive gains in long-term investments, and can even use them as valuables to hedge investments on other types of trading thanks to the metals’ intrinsic ability to hold value even in times of economic downturn. The futures exchange market is also especially convenient to get involved in, as it is “open” online 24 hours a day except on the weekends. This means that, no matter where you are located in the world, you can get involved in precious metal trading. Should you trade precious metals? Precious metal trading has long been a pillar of investment. Since prehistoric times, gold has been used as an insurance of value. Silver has over 4,000 years of history behind it, and has recently seen a surge in value as manufacturing and technology demands increase worldwide. Though they have a shorter history, metals like platinum and palladium have seen huge surges in value thanks to their relative scarcity. As you can see, precious metals have been valued for centuries, and hold a unique place in the current-day market. Their value will not be going away any time soon, and may be especially beneficial as a portfolio diversifier for traders who prefer long-term trading strategies. However, the trick to making money buying and selling precious metals is knowing and understanding both the risks and rewards involved. The volatility of the precious metal market should not be underestimated, but this should also not scare away traders. In this volatility, the ability to make or break a fortune is found. The bottom line? Before you consider making your first purchase of precious metal (or any other asset), you need to find the broker that will assist you in making smart trades and avoid losing your money. Genetrade provides all of this to you by offering the best trading conditions and execution with no hidden fees and no commission. Let us help you make profitable trades that will make you more money and help secure a better financial future for you and your family. What factors affect the values of precious metals? Precious metals hold intrinsic value, meaning that they are unaffected by inflation. When the public perceives that banks are unstable or the economy is in a recession or depression, the value of precious metals goes up because they are seen as a relatively safe store of value. War and political uprisings have long sent investors into precious metal buying overload. This is especially true if the investor is located in an area that is being affected by political strife, as precious metals can be quickly converted into a new form of currency should a rebel political regimen take over. When rates of inflation are high, investors often move their money into precious metals, as they are assets that will hold value even when the value of currency falls.